Thread: How does GetAttributeValue work? but what is "modifier" and what is "defaultValue"? Those seem to check if a certain buff is active but how do you get the actual attributes? what would be the modifier/defaultValue? it looks like the modifier should be the sno of the attribute but it looks like some don't have a sno number (or are unknown to us). any update ? 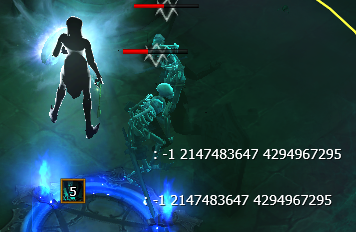 I would be interest to if it's possible to get Buff is on monster active over this function. Don't change default value if you don't care. Last edited by DysfunctionaI; 01-15-2019 at 12:19 PM. Am i using the function wrong or is ther just no support for monster attributes? Maybe you need to press F3 in between? That's why I said you probably can't read those attributes. You probably return those numbers cuz that attribute hasn't been populated in memory. You'll see all accessible attributes there, relative to each actor. Ok i got it now thanks for your help.